Engaging early stage to give a client suggestions. Starting from a branding to applying it to many other applications such as web portal to marketing materials. Walmart is multinational retailing corporation. They are still one of the biggest corporates but, they are getting challenged by many other companies like amazon. In order to be able to stay strong in this high tech era, they wanted to shift gears toward to most advanced technology group in the world. TechMod is the name of the group where is leading the movement. We helped them to start rolling the big gear. There are 5 principles they have as core values. Also they are positioning themselves as a core gear of the new Walmart engine. With the main concept of their identity, I wanted to create something radical and progressive. 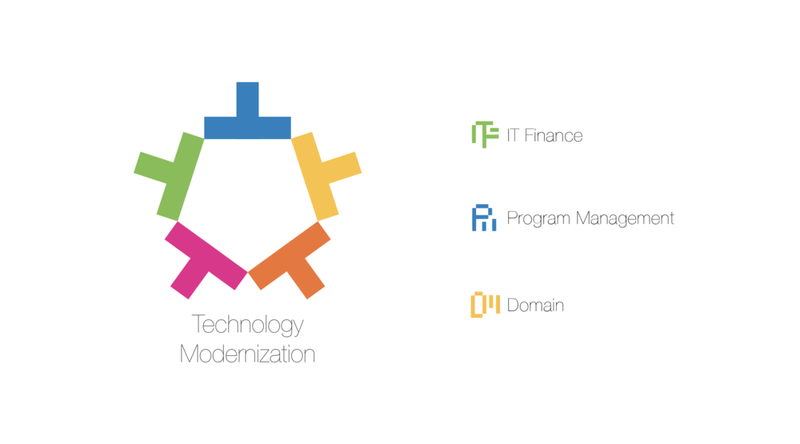 This is their logo and 5 'T' from Technology create a gear symbol and different colors represent 5 different principles. Treat those visual elements as a modular system. I made a sub-branding for their sub organizations. Also I wanted to make sure it goes well with their original branding. In order to represent shake it off from the old technology and heading towards new vision, I created 'O' shape with the concept of digitalized pixel is making the shape that is representing bright future of Walmart. The language of digitalized 'O' was able to spread out entire marketing materials related to the campaign. With the brand language, we created their TechMod site with better user experiences and helpful features. It also got translated into email templates or banner design too. 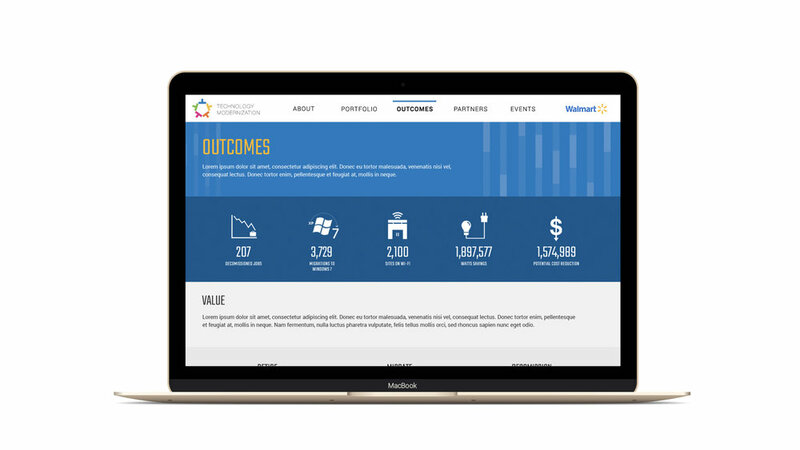 Through out the entire course of delivering beautiful design language and system, the client was extremely happy about outcomes and it lead us to get more jobs from Walmart. Sang is someone who believe in a power of design.